Last week, a million people marched through London to demand a second Brexit referendum. The British government has consistently failed to reach a deal regarding Britain’s departure from the European Union, resulting in Brexit being delayed. At first glance, the Brexit debates seem unrelated to NATO, whose mission, members, and structure of differ significantly from those of the European Union (EU). This belief has been furthered by NATO Secretary General Jan Stoltenberg’s statements insisting that Brexit is about the United Kingdom’s relationship with the EU, and not with NATO. 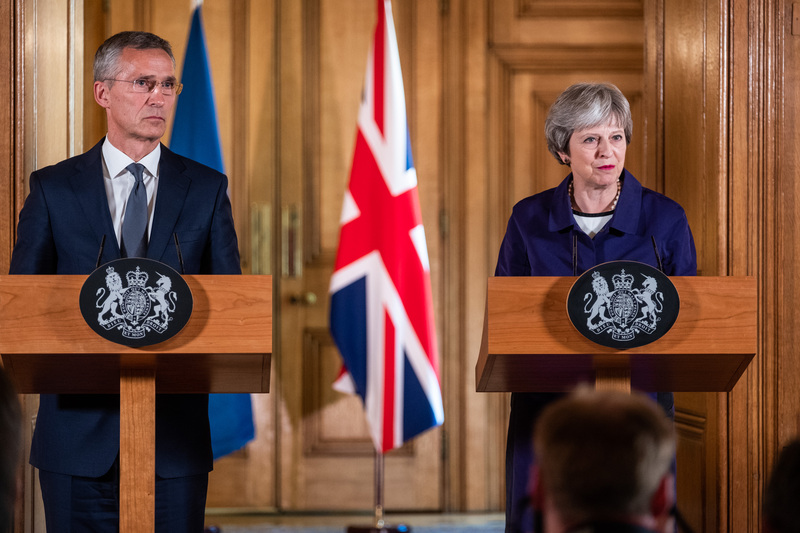 Although Brexit is fundamentally about the UK leaving the EU, it will still have far reaching implications for NATO and the future of European security. The UK and NATO: Closer than ever? In 2017, Prime Minister Theresa May publicly affirmed that the UK will remain “unconditionally committed to maintaining Europe’s security,” a reassuring statement that has yet to be tested. 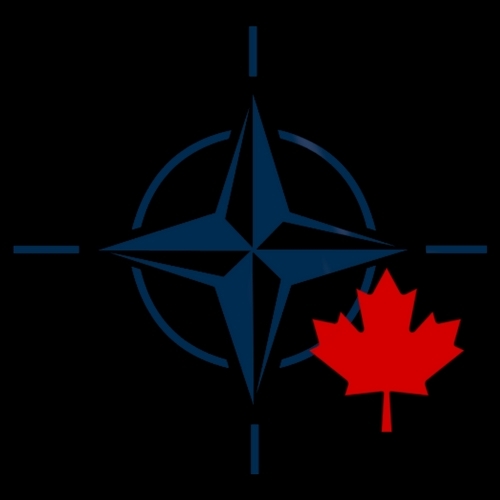 Brexit will probably result in the UK taking on a bigger role in NATO by using the Alliance as a key platform for international cooperation and power projection. May and the pro-Brexit camp frequently paint an image of post-Brexit Britain as a strong international trade powerhouse. NATO is an important forum for attempting to realize this vision, as it creates opportunities for like-minded countries to improve relations and shape the future of the liberal international order. The organization will become especially important after Brexit, which will reduce the UK’s ability to substantially influence EU security policy. NATO will enable Britain to retain some of that influence, since 21 EU Member States and 2 candidate countries belong to the Alliance. That being said, it is unclear when post-Brexit Britain will be able to increase its political, military, and monetary commitments to NATO. 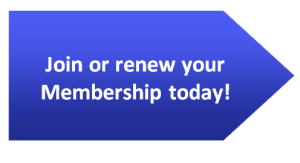 There will be more pressing issues that take up political and economic capital in the immediate aftermath of Brexit, such as the transition process and the financial cost of leaving the single market. It is also interesting to consider the possibility of Scotland leaving the UK and rejoining the EU, since 62% of the country voted to remain in the Union. Scotland houses a significant portion of the UK’s security infrastructure, including the Trident nuclear program. Brexit will signify the end of Britain’s EU membership, but it will only mark the beginning of a complex set of political and security challenges. The EU and NATO: Competition or collaboration? Throughout recent history, the UK has blocked major EU actions towards defence and security integration and instead promoted cooperation through NATO. The expectation of Britain’s departure, combined with the emergence of a cohesive Franco-German agenda on the future of Europe, has resulted in the EU embarking on major security initiatives such as the Permanent Structured Cooperation framework, the European Defense Fund, the Coordinated Annual Review on Defence, and the European Intervention Initiative. Together, these programs will enhance the EU’s security research and development capacity, allow for better tracking and pooling of national defence resources, and improve military coordination within and outside the EU. Unsurprisingly, these changes – considered alongside the sizeable upcoming increase in EU security and defence spending – have raised questions about whether the EU is attempting to replace NATO. That possibility remains unlikely. The most recent iteration of the EU Global Strategy emphasizes that NATO will remain at the center of Euro-Atlantic security. The Union’s new structures will still mostly be controlled by Member States, as EU leaders and policymakers have been quite clear in opposing a fully integrated EU force. Cooperation between NATO and the EU is more sensible, as it leverages the unique tools of both organizations. For instance, the Alliance has non-EU members that have valuable capabilities and locations, ranging from intelligence gathering by 3 members of the Five Eyes alliance to Arctic Circle access via Canada, the US, Iceland, and Norway. On the other hand, the EU can embark on missions that are not within NATO’s mandate, unable to gain NATO approval, or require a more unified political response. After Brexit, there will also be a contrast in contributions, as non-EU allies will become responsible for 80% of the Alliance’s defence spending and the Union will lose a substantial amount of deployable troops and expertise. Luckily, the Union and the Alliance have recognized the value of cooperation; at the 2016 Warsaw Summit (and later in December 2017), the European Council and North Atlantic Council agreed to cooperate on projects to address shared goals, including improving cybersecurity and maritime capabilities. The EU’s decision to prioritize security and defence should be seen as a valuable complement to NATO, due to the increasingly transnational and rapidly evolving nature of global challenges like hybrid warfare. The Alliance and the EU should use their capabilities to address such issues and to each develop a presence where the other cannot. Furthermore, the planned increase in defence spending in many EU Member States can help them meet NATO’s 2% defence investment pledge, which will strengthen NATO and hamper American criticisms about unfair burden sharing. It is undeniable that Brexit will reduce Britain’s ability to influence EU security policy. In its efforts to make up for this loss, the UK will likely become a more active NATO member. In the meantime, NATO-EU collaboration will increase due to the nature of 21st century challenges and the EU’s post-Brexit security integration initiatives. These observations give rise to two important action items. First, the UK must decide what its role within NATO will be: will it be a leader, a broker, or focus solely on alliance building? Second, the EU and NATO must work closely to develop innovative and complementary responses while preventing the duplication of capabilities. Brexit marks a watershed moment in the history of the EU and symbolizes a major turning point for NATO and European security. Photo: Joint press conference of NATO Secretary General Jens Stoltenberg with the Prime Minister of the United Kingdom of Great Britain and Northern Ireland, Theresa May (2018), by NATO via Flickr.